What has psychometric testing ever done for me? 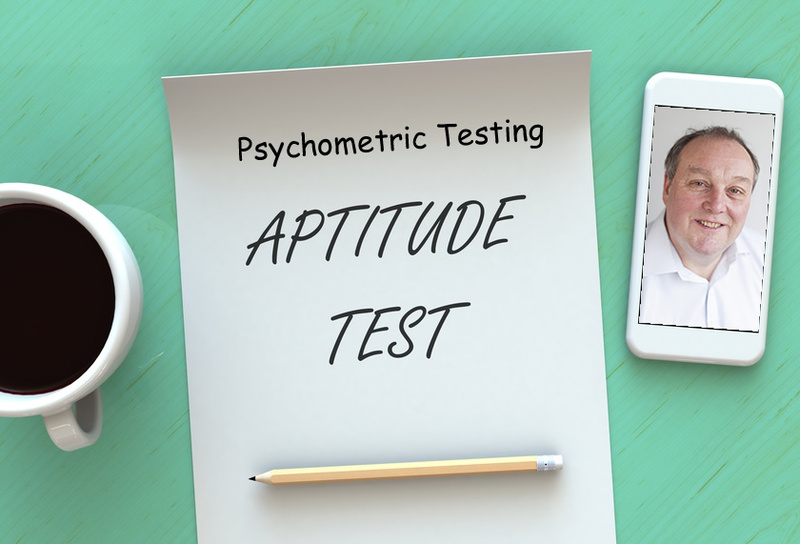 Over the years I have heard many comments about Psychometric Testing, what they can do, what they can’t do. Comments like, “so it will show whether I’m a psychopath or not”? “you based your decision based only on this test”? “it’s all hocus pocus this stuff, not worth the paper it’s written on” others on similar lines. So let’s look at what psychometric tests are and more importantly how can we best use them in our businesses. Verbal Reasoning – measures the ability to interpret verbal information and reach correct conclusions. Important for understanding business information and report writing. Logical Reasoning – measures the ability to analyse abstract information and apply this to determine outcomes and patterns – such as completing sequences and shapes. Used in a variety of roles requiring complex problem-solving eg in IT, Science etc. Clerical Speed and Accuracy – tests how quickly and accurately large quantities of routine information can be processed, such as checking numbers in clerical work. Personality Assessments – seek to understand an individual’s preferences via psychometric testing in the workplace. It focuses on how much for example, someone likes to work in isolation versus work part of a team. They seek to match an individual’s approach to work demands to the demands of a given role. They can tell us how someone is likely to behave under a heavy workload or in the absence of a clear plan of action. They can tell us the extent to which someone is concerned about getting the detail just right, or if they prefer to consider new ideas and potential innovation when faced with a challenge. It is important to note that these are self-report measures ie we are dependent on the individual to give us accurate detail and so the reports they give us really represent hypothetical views of an individual’s behaviour. Regardless of whether we are hiring or coaching, we need to test these hypotheses by exploring the results with the individual. Well, this is the crucial point. Personality and behaviour (or competence) can and do diverge. For example, someone may have an aversion to public speaking and if left to their own devices would never volunteer to get up in front of an audience. However, if their role at work requires it, they can develop the requisite skills to be a great public speaker. It might take a lot of hard work – more than if their personality lent itself to this kind of activity. Their personality profile wouldn’t necessarily change significantly as a result, but their behaviour would. Hence the point about treating personality profiles as a hypothesis to be tested. Motivational Assessments – determine the factors which are likely to energise an individual and in turn engage them in a role or working environment. The difference between Motivation and Personality is that Personality describes the ‘What’ – how does someone typically behave when compared to others? And Motivation describes the ‘Why’ – what are the underlying factors that are driving someone to behave in a certain way and need to be fulfilled for someone to be engaged and committed. So how can Psychometrics be used in the workplace? Recruitment – as they can help improve the accuracy of hiring decisions by giving an objective insight into an individual’s likely behaviour at work, especially when using data driven role profiles or the comprehensive, line manager friendly competency report and interview The Sales profile can also be used to identify individuals who have the behavioural preferences needed to succeed in sales-focused roles. Getting a hiring decision wrong can prove to be very costly both in time and money so by increasing the chances of getting the right decision means that using psychometrics are a very cost effective tool. Individual Development – the assessments supports self-awareness of behavioural preferences to determine personal strengths and areas for development, through a comprehensive development report and accompanying feedback guide. Multiple reports can also be used to support in-depth coaching conversations. Leadership Development – supports leaders to reflect on how their behavioural preferences might impact their progression or performance in more senior roles through the Leadership Derailer report. Identification of high potential – the assessments provide an objective and unbiased way to identify candidates with the highest potential. The assessments help to improve and manage the businesses talent pipeline and provide a comprehensive view of leadership potential and possible leadership derailers. Team Development – the composite team reports provide individual and group-based information illustrating the relative role preferences of team members, to support team development interventions. A behavioural type at work report can also be used in team building to help team members understand reasons for differences in perspective. Employee Engagement – By using the motivational assessment a business can look at what employees need to be engaged and fulfilled at work and if the business is providing the right environment for its employees. Culture – the motivational assessment can be used to help create a more harmonious culture across an organisation, resulting in high levels of employee engagement and a close fit between employee drives and organisational culture. It allows a business to conduct an audit of existing employees and helps gauge current culture and make informed decisions about whether the business is being run in the way it was intended or whether changes are needed. It can be seen therefore that a good suite of psychometric testing, can be used in many ways to help drive organisations and improve the performance of individuals and therefore the organisation itself. So what has psychometric testing ever done for me? As you can see, like the Romans, more than you think.